Runtime: 2 hr. 4 min. The story follows Carol Danvers as she becomes one of the universe's most powerful heroes when Earth is caught in the middle of a galactic war between two alien races. 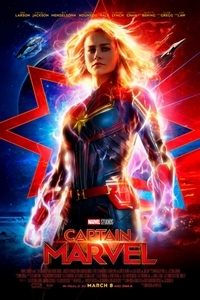 Set in the 1990s, Captain Marvel is an all-new adventure from a previously unseen period in the history of the Marvel Cinematic Universe.